After the successful released of hit songs like “I’m a Boss, Eminado & Number One” and visuals for Eminado single, Movement Entertainment presents the multitalented US based Rap singing sensation, actor. 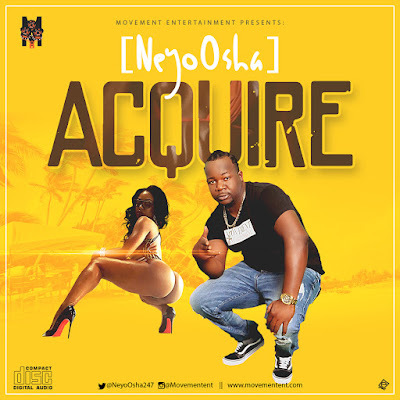 performer and song writer – NeyoOsha, with the much awaited infectious Damespro produced single titled “Acquire”, mixed and mastered by Damespro. NeyoOsha came through on this top notch song which promises to rock speakers and airwaves nationwide and it’s available on all digital stores. Listen, request, enjoy and share your thoughts below.